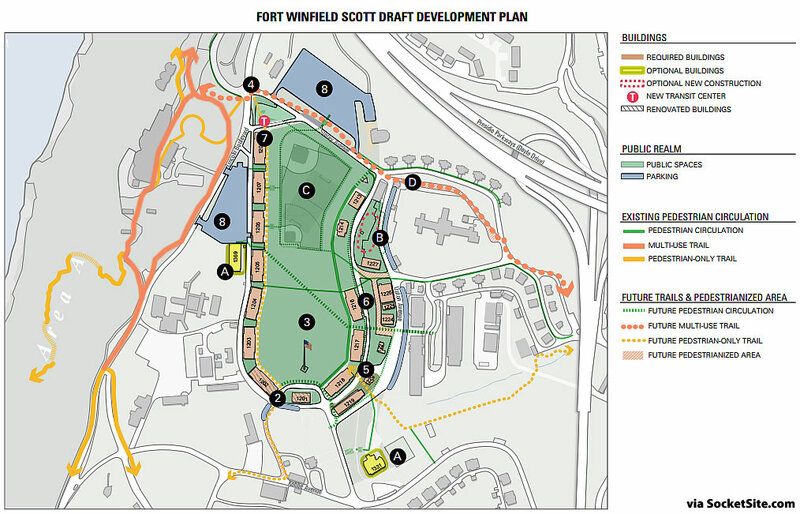 The official Request for Proposals (RFP) has been issued to the four finalists selected to bid for the opportunity to redevelop the 30-acre Fort Winfield Scott campus in the Presidio. 1. Rehabilitate Historic Resources – The historic buildings and landscapes at Fort Winfield Scott that contribute to the National Historic Landmark District will be rehabilitated according to the Secretary of the Interior’s Standards for the Treatment of Historic Properties, site and design guidelines, and applicable building codes. 2. Be a Model of Environmental Sustainability in Design, Construction, and Operation – Fort Winfield Scott will be a model of environmental sustainability in all aspects of design, construction, and operations, including transportation management and support for alternative modes of transportation. 3. Enhance the Public Realm – Fort Winfield Scott’s public realm will be improved to sustain and ideally enhance the biodiversity of the Presidio, and to make the Fort Winfield Scott area more accessible and inviting for visitors to the Presidio. 4. Enhance the Park by Supporting the Presidio Trust’s Financial Sustainability – Fort Winfield Scott will contribute to the financial sustainability of the Presidio Trust. 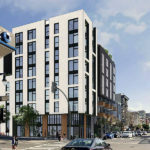 In addition, the Presidio expects all proposals to include plans for the construction of a new, but not $2.2 billion, transit center on the northern end of the campus, on Lincoln Boulevard. Proposals are due by 5 pm on January 15, 2019. The proposals will be presented to the public on January 24. 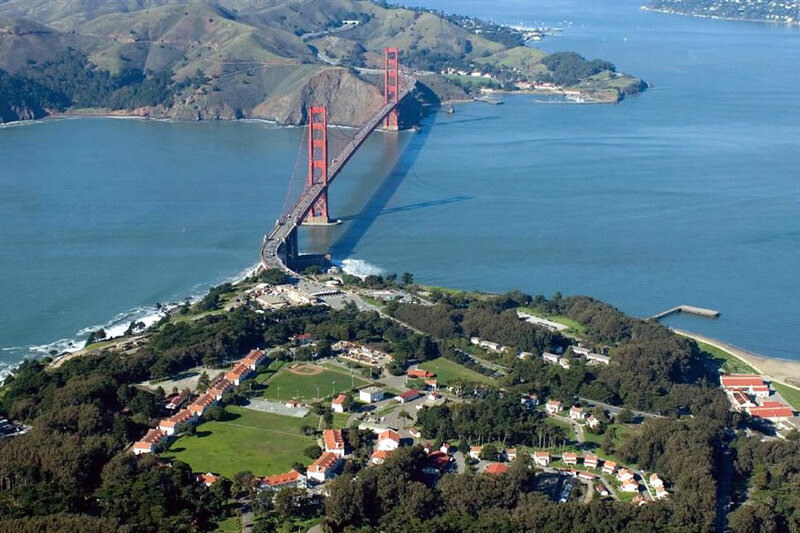 And the Presidio Trust’s Board of Directors is currently slated to select the winning proposal(s) on March 28. How about that transit center including the fabled Presidio Muni LRT extension. Totally impractical, but let me dream.